run but need to get a lot more fuel into the engine and the manifold length doesn't help. I've put a 2mm main in so going to lift the needle and file down the tapper a little. Hopefully this should work. 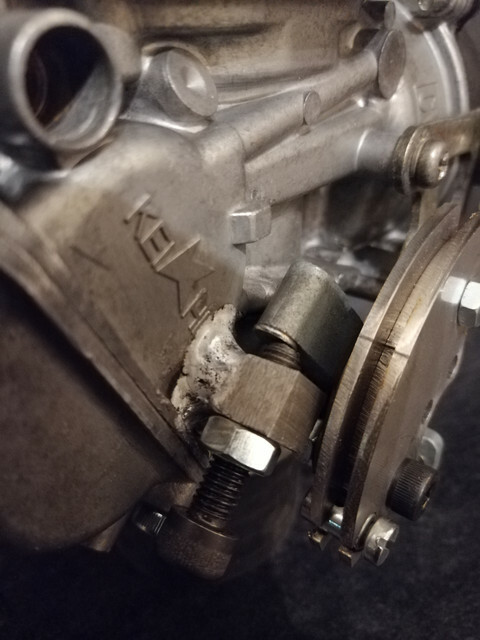 Last edited by sallyandsean; 05-02-2019 at 01:24 PM..
Little more done on the carb. With it being a bike carb the throttle travel was too short so we had an extender made. Also there was no throttle stop or idle screw so had one welded on. Video of first run. Needs dialing in but hopefully should work. Now set up and running well.